Property damage can happen to anyone. Whether you are dealing with fire damage, mold growth, storms or water damage, we can help fast. Our disaster reconstruction services are available 24/7. Sante knows the Union community’s homes and commercial properties. If you have experienced a disaster, Sante Property Damage Reconstruction invites you to call now. Our property damage repairs are licensed and insured for our customer’s peace of mind. We understand how overwhelmed you may feel. With over 30 years of experience, we have handled property damage reconstruction time after time. No matter how small or large, we have trained technicians who can handle. We have invested in the latest equipment to help keep labor costs low. Better yet? We work with your insurance company and provide disaster claims assistance. Call our fast and friendly customer service anytime, day or night. Disaster property damage is more common than you think. Even with careful preparation, the worst can happen to anyone. Water damage leads to mold growth. Water from firefighters adds to fire damage. Moisture, humidity, smoke and soot and much more may be in play. Sadly, there are many toxins that could be impacting air quality, health, and safety. Our property damage reconstruction services address all your needs. Unlike other companies, we don’t leave until the job is completely done. Contact us today for free estimates on homes and commercial properties. Are you experiencing fire damage? If so, Sante is available now. As with any property damage repair, the sooner you call, the better. We can stop the spread of smoke, soot, water damage and more. Sante Property Damage Reconstruction will help with insurance claims and documentation. This cannot be undervalued. As costs add up, our fire damage repairs work hand in hand with insurance companies. As always, our emergency fire damage reconstruction is available to our clients 24/7 with free estimates. Spreading all too quickly, water damage happens fast. Time is of the essence. When you call in Sante Property Damage Reconstruction, we halt the destruction. By stopping it quickly, we can save you thousands of dollars. Our water damage reconstruction is a comprehensive solution. During our step by step process, we carefully eliminate issues like humidity, mold, and odor. Let us completely sanitize water damage with our expert technicians and modern equipment. We will have your property completely renewed after our flooding and water damage repairs. Mold growth is a tricky problem. Striking fear in the heart of home and business owners, the presence of mold can be very stressful. Sante has the training to identify the type of mold growth repairs you need. Investigating the source of the mold, we eliminate it. Mold won’t return after we’ve left. You can have complete peace of mind when you use our expert mold repair solutions. Free estimates and fast service now! Our mold damage reconstruction sanitizes homes and commercial properties for health and safety. Even when prepared, storm damage can be catastrophic. Sante Property Damage Reconstruction has more than three decades of experience with storm damage in Union, CT. Our services will be with you through the step by step process of reconstructing storm damage. Whether you have a home or commercial building, we can help now. Our emergency storm damage repairs are available to customers anytime, day or night. Call us now to secure and completely repair storm damaged properties. If you have a business in Union, we are available with expert commercial property damage repairs. We serve the entire community’s needs. From fire damage reconstruction to mold elimination, we are available for any disaster repair. Licensed and insured, we are a professional service. Our clients have never regretted hiring a qualified reconstruction company. When you get Sante on your side, you can expect professional commercial repairs with quality craftsmanship. If your property needs a general contractor, hire a professional today! Sante Property Damage Reconstruction provides the labor, equipment, and materials. Our free estimates are available to all clients, large or small. Do you need help now? Our emergency customer service is available. If you have a home or commercial building in Union, we provide licensed and insured general contracting. Committed to quality and craftsmanship, we work within budgets and timelines professionally. We are proud to specialize in disaster property damage repairs. Qualified and licensed, we are a fully insured property damage reconstruction company. 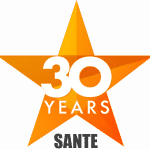 Sante has over 30 years of experience in Union, CT. We know and love the community’s homes and businesses. If you have fire damage, mold growth or flooding and water damage, we can help now. Don’t hesitate to call us 24/7 for emergency disaster reconstruction now! Does your Union Home or Business have Damage?